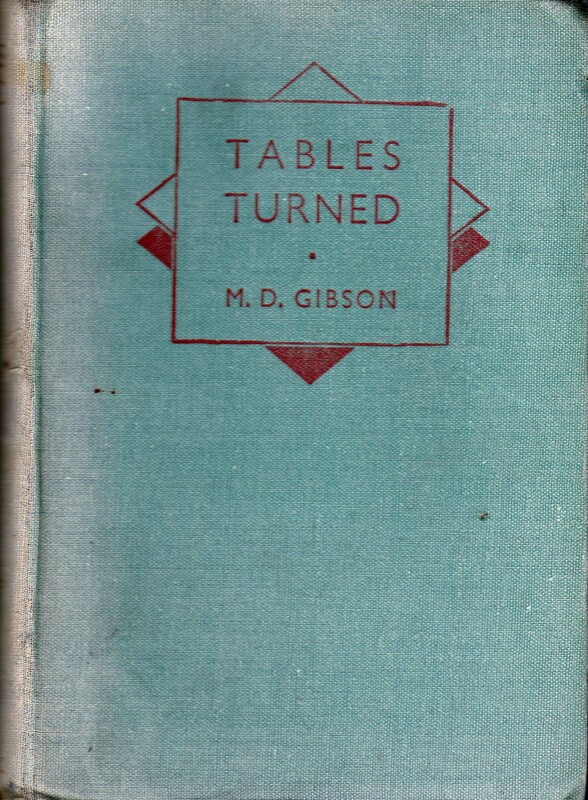 Copyright: This work is copyright and reproduced here with the permission of the Literary Estate of Michael Gibson. Photos and scans by Judy Greenway from Michael Gibson’s collection of books and ephemera. Please contact judy [at]judygreenway[dot]org[dot]uk for further information. Key Words: autobiography, bomb disposal, Cheltenham, children’s books, Home Guard, memoirs, Second World War, war work. The Thursday afternoon mathematics class of 2B was under the care of a gentleman who tended to set a problem on the board and leave his pupils to solve it while he quietly dozed off. It was thus that I found time to write a good deal of the first book I ever had published, a boys’ adventure story entitled Tables Turned. The hero was called James Bell, the name of the boy who sat next to me in class and coped with the mathematical problem for both of us. It featured in the climax the use of paratroopers, something that in the early 1930s had not yet been thought of in real life. The reader’s report, which I still have, described it as ‘highly unlikely, but a good, exciting story’. It was published in due course by A. & C. Black and sold for 2/6d, all 250 pages of it. I received a total of £25 for all rights, which was not in those days as outrageous as it may seem now. 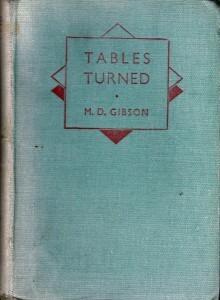 Cover of “Tables Turned” by M.D.Gibson, 1939. 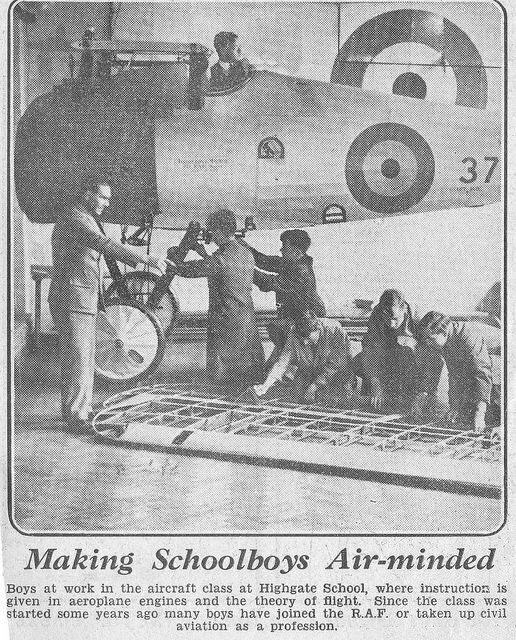 Boys at work in the aircraft class at Highgate school. This unidentified cutting from around 1935 is from Michael Gibson’s collection, so maybe he is one of the boys in the photo. The College of Aeronautical Engineering had a syllabus embracing both the practical and theoretical. Thus, during the next three years, on the practical I learned about metalwork and the tools used, including a spell in the machine shop on a lathe turning valve stems and making screw threads, precision woodwork (for many aeroplanes at that date were still of wooden construction), a spell in the foundry casting metal, welding, practical electrics (the theory of which I found very difficult to master), draughtsmanship and the interpretation of working drawings, drawing office practice, the working and overhaul of aircraft aero engines, and I even learned how to fold a parachute. The college had Rolls-Royce Eagle and Napier Lion engines, both types having served with distinction in both military and civil aircraft over a number of years. They were water-cooled designs with two and three banks of cylinders respectively, and one of these engines each class of students would dismantle, overhaul and reassemble. The successful conclusion of each overhaul meant an interesting trip out for the team that had worked on it, for there would be little satisfaction if it could not be shown that the engine would actually run afterwards. Students, their instructor and the engine would all be aboard a lorry early in the morning and heading for Brooklands Race Track, then in its heyday as a centre for motor sport and, with its aerodrome, for flying as well. These trips were in fact a foretaste of what was to come, for the last year of our course at the college took place at Brooklands, where it had its own building. Volunteering for the services had so far been completely unproductive, and I decided to ask Air Commerce if they would take me on again, this time as a normally paid employee, but with the proviso that I might suddenly be whisked away if I heard from the Air Ministry. The answer was yes, but only if I was prepared to work in Cheltenham in Gloucestershire, to which town their engine overhaul work had been transferred. The flying and airframe overhaul side of the firm was still at Heston, the work now largely consisting of the ferrying of service personnel over to France and back. They were busier than ever, but were fully staffed. It was quite clear by now that it was going to be some time before I could take any steps towards moving away from aircraft engineering as a career, so I said ‘yes’ to the offer of the job in Cheltenham. It was quite generous of Mr Stace to agree that I could leave at short notice at any time and any other possible employer might well not agree, so to Cheltenham I went, little knowing how long it would be before I left it once more. Much changed by the war and now with a fair amount of light industry, at the end of 1939 when I went there, Cheltenham was perhaps more famous for its past as a fashionable Georgian spa town. In its setting in a curve of the Cotswold hills, it was still a place to retire to, where one could stroll at leisure and enjoy the elegant buildings and wide, tree-lined streets and its well-kept public gardens. If one were energetic enough there were still tea dances in the town hail, and there were concerts in the Pump Room in Pitville Gardens. The Air Commerce engine overhaul operation, however, was some way out of the centre of the town in a reasonably modern housing estate and away from all this elegance. The firm had, in fact, taken over an under-used parish room, which meant that there was a fairly large hall where the practical work was done, the engines being ranged on trestles in two rows, one down each side. Office work was carried out in what had been the kitchen and a small side room off it. The kitchen sink was still in the office and this meant that, in combination with a gas ring, all-important tea-making facilities were readily to hand. It could be called a cosy arrangement and I took digs nearby. The work was almost exclusively the overhaul of in-line, six cylinder DeHavilland Gipsy engines of various marques as it was these that powered the firm’s aircraft. War had now been declared and private flying was no longer allowed, so that the maintenance work that we had done in peacetime on other machines which might have had different power plants had ceased completely. I was now working, along with a team of six others, as an aircraft engine fitter, for which, of course, I was qualified, though it was hardly a job that I should be doing after completing a three-year course at the College. I soon realised that it would not keep me satisfied for long, but for the moment it suited as each day I was expecting a call from the Air Ministry, which was, of course, why I had taken it on in the first place. However, the weeks came and went with no word until suddenly, out of the blue, a communication arrived from the authorities (not the Air Ministry) to say that my qualifications meant that I had been classified as being in a reserved occupation, where I would be of most value to the war effort. For the time being at least, I would not be accepted into the armed forces. Time, clearly, for a reassessment of my position, as I was not going to spend the war overhauling engines. In any case, word had got about, too, that the R.A.F. would soon be taking over the ferrying work that was now done by Air Commerce, and presumably would be using their own aircraft. The Gloster Aircraft Company at Hucclecote on the outskirts of Gloucester was not many miles away and was a possible one to approach. On the other hand, more or less on the doorstep at Staverton, about half way between Cheltenham and Gloucester, was Dowty Equipment Ltd. This was a company specialising in producing hydraulic systems for aircraft, operating the controls, the undercarriage retracting gear, landing flaps and, in fact, practically anything on an aeroplane that needed power to move it. The factory was in the pleasantest of surroundings, in the grounds of a country house called Arle Court. Enquiries revealed that there was a large drawing office where the design work was done but, what attracted me especially, was the information that the design staff included a small team of technical artists. These were people who had a knowledge of engineering combined with an ability to draw, so they could translate draughtsmen’s working drawings, which were of course, simply front or side elevations, with no indication of shape or depth, into something even the virtually untutored layman could understand. In other words they made objects appear in full perspective. In many cases cut-away drawings would also be done, showing how the internal parts fitted into place and the relationship of one to another. 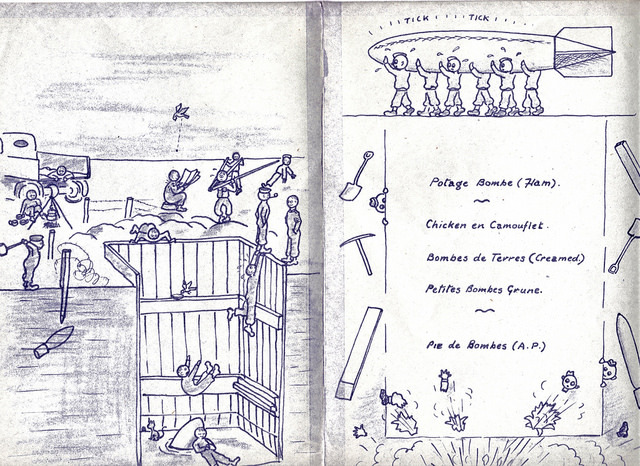 These drawings would be used to illustrate maintenance handbooks mainly for the R.A.F., where many of the newly-recruited personnel were likely to have only a very limited knowledge of reading manufacturing drawings and being able to visualise what they represented. If it were possible for me to join this small team of artists I could combine my engineering knowledge with something I really enjoyed doing for I had, over the last few years, inspired by the incredibly detailed exploded views of various aircraft by J.H.Clark in The Aeroplane weekly, produced, purely for my own enjoyment, exploded views of several aircraft, notably the Hurricane fighter and the Douglas DC2 airliner. They got me the job though, as someone with no professional drawing experience, on a provisional basis. That was good enough for me and I bade farewell to my friends at Air Commerce for ever. With the probationary period successfully completed, the next two years are, I think, best dealt with in a series of vignettes. This is partly because I cannot now remember the order in which many things happened, but also because in most cases the sequence is unimportant anyway. However, I can say that, right at the beginning, I not only changed my job but changed my digs as well. Arle Court was, as has been said, about halfway between Cheltenham and Gloucester and there were special buses taking workers from the centre of Cheltenham out to the Dowty factory and back in the evening, so I decided that with access so easy I would move into the centre of the town to be more in the centre of things when off duty. On fine summer days I would cycle to work instead, which I suppose was a good deal more healthy. The digs into which I moved were in a four-story Edwardian-type semi-detached town house in Grosvenor Street, a name that makes it sound a good deal posher than it was. It was owned by Mrs. Ashcroft, who lived in the basement, and touring actors of the various companies that came and went to the Cheltenham theatre knew it as a place to stay where they would be welcome and their sometimes eccentric habits and unusual hours of work happily accepted. The Cheltenham theatre put on a fine variety of shows, from straight music hail variety to Shakespeare. The Anglo-Polish Ballet was a regular visitor and Grosvenor Street would then be the temporary home for a week to some pretty glamorous, not to say exotic, members of the cast. Meals were cooked by Mrs. Ashcroft and served in the big dining/sitting room on the ground floor, where we all ate together. A number of members of the company of Big Bill Campbell, the speciality of which was a dialogue of home-spun philosophy interspersed between cowboy songs and the twirling of lariats, the whole cast dressed in costumes of the Wild West, would stay with us and I can remember seeing a leading member of the company, a man called Buck Rogers who must have been at least seventy years old and so thin and gaunt of feature as to be almost skeletal, and who had the bedroom next to mine at the top of the house, sitting bolt upright in bed with a bottle of whisky in one hand and a large cigar held at a jaunty angle between his teeth. He was a cheery character who, despite his cowboy stage costume and assumed American persona had clearly been born nearer to Brixton than to Dodge City. And then there were the two very attractive sisters, one very dark and one very fair, whom I and a friend took out several times during the week their act was on at the theatre. They were both professional contortionists and when on the stage were apparently made of rubber. There cannot be too many men who can claim, as I can, that they have seen their girlfriend bending right over backwards and grinning at him through her legs! Donald Wolfit and his touring company was also a regular visitor to the theatre, once and sometimes twice a year, though I do not remember members of his troupe staying at Grosvenor Street. However, I did go to see a number of his Shakespeare productions, which were, to put it mildly, a very mixed bag. He himself was a fine actor who, with a different temperament, could have been a great one. His failing was a strange mixture of conceit and at the same time an ultimate lack of confidence in himself. He knew he was good, but in order to make his own star shine more brightly, he deliberately chose rather second-rate actors to support him, which hardly enhanced his productions. He, himself, would always throw himself full tilt into any part he played, giving it his all, and I can best remember the final curtain call of his production of Macbeth, with him holding onto the half-drawn curtain apparently to support himself as if on the point of collapse after his exertions. I am afraid, though, that I suspect that this was part of his act. It is not before time at this stage to say something about how the war was affecting Cheltenham, apart from such things as shortages, blackout, and all the other inconveniences that were now being experienced over the whole country. The first year that I was at Dowty Equipment was the year of the ‘phoney war’, during which it seemed as though both the protagonists were reluctant to launch themselves into battle. Nothing very much happened on either side of the Channel, though the odd raider did occasionally cross our coast and drop a tentative bomb or two. It gave us much-needed time to gear ourselves properly for what we knew must eventually come and to build up our woefully under-strength Air Force. This meant that Dowty, as a provider of vital aircraft components, was in the thick of it and we worked long hours and many weekends. Almost imperceptibly, however, things began to change. For the first time we heard something that was eventually to haunt us almost every night, the drone of enemy bomber formations, high in the darkness above us, heading for the industrial towns of Birmingham and Coventry. In the distance we would sometimes see the beams of searchlights probing the sky in search of them and hear the distant rumble of the anti-aircraft guns. Cheltenham, with the comparatively small Dowty Equipment and Rotol Airscrews at Staverton one move nearer to Gloucester, was never considered a major target, though we did, nevertheless, have a raid or two. The first occurred on a Saturday night when I was setting out, dinner-jacketed, to pick up my partner, a tracer in the design department at Dowty, (tracers being girls who traced in ink the pencil original designs produced by the draughtsmen onto specially prepared silk, so that they could be reproduced in quantity) for a dance at the Cheltenham Town Hall. The sirens went as I arrived at her digs, on foot as was quite normal for us in those days if the distances were not too great. As I went in and waited for her to come downstairs, the first bomb landed uncomfortably close, shaking the house to its foundations. The next two hours were spent, with both of us in all our finery, in a very large cupboard under the stairs and, though we heard other bombs come down, that first one was the closest that any came to us. The all-clear went about 1.30 a.m. and I wended my way home alone, through the deserted streets. Not really a very momentous episode when compared with the raids of the London blitz, but the best I can do from personal experience. Why the raid was carried out it is difficult to say for it seemed to have no particular purpose and did surprisingly little damage. The bombers did not appear to have been aiming at the only two worthwhile targets in the neighbourhood, Dowty Equipment and Rotol, though a single bomb did hand in a field in their general direction, leaving a large crater. Otherwise my only fairly close contact with a German fighting machine came early one morning when I was woken by an explosion some way off. It was quite light as I looked out across the rooftops from my bedroom window, from where, unbelievingly, I watched a Dornier Do 17 bomber, fly straight and steady at no more than 500 feet high, low over the houses and drop a single bomb which, it turned out, landed on a cinema down the high street, but failed to go off. This time one could assume, with some certainty, that the raider was returning home from a raid further north and was jettisoning his unused bombs. 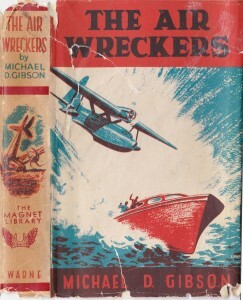 Since he was flying so low, one could also guess that he was damaged in some way and was trying to lighten his load. Cycling each morning the four miles to Dowty Equipment at Arle Court, and back again in the evening, provided pretty good exercise. Once I had found my feet in the drawing office and overcome the ‘new boy’ nervousness, my technique as a technical artist improved quite rapidly. It was precision work, carried out in Indian ink on the same glazed linen as that used by the tracers. A limited amount of it could be carried out free-hand, particularly the shading that gave the drawings depth, but otherwise one made use of drawing aids, particularly on the curve. At times, considerable imagination was needed to interpret the exact shape of, for instance, a casting, when all one had to go on was its representation in a draughtsman‘s drawing, even if all the elevations were shown. On rare occasions it might even be necessary to go into the workshops to see the actual item if it was especially complicated, but on the whole we coped with working drawings without too much trouble. The technical artist section when I joined it consisted of five people, under the Section Leader Cyril Senior, whose job it was to control artistic temperaments that occasionally surfaced, supervise and allocate the work, and write a certain amount of text to go with some of the drawings, and his secretary, blonde, good-natured Beryl, who appeared thoroughly to enjoy a certain amount of good-natured teasing. Of the two artists, the senior by reason of his experience and ability, was Ken Cowling, with whom I established a pleasant working relationship. In peacetime, he had been a commercial artist with a more or less never-ending contract with Flowers Brewery to repaint all their pub signs as and when they became in need of it, do new ones, and generally to keep them all up to scratch. The variety of subject was immense. I was artist number two and very content with my lot as the creative side of the work revived my own creative urge, which had been rather swamped by events of the last year or two. This took the form of spare-time writing rather than drawing and I was well into my second boys’ adventure story, The Air Wreckers, which was published in 1944 by Frederick Warne. This was the first of six which I wrote for them, all with the same hero, but, despite urging from me, they never made any effort to establish them as a series, which might have made readers look out for the new exploits of someone with whom they were familiar. Warne was one of those old-fashioned firms that absolutely refused to pay royalties on sales, so each time I got a fixed sum, though I did manage to have this increased from time to time. 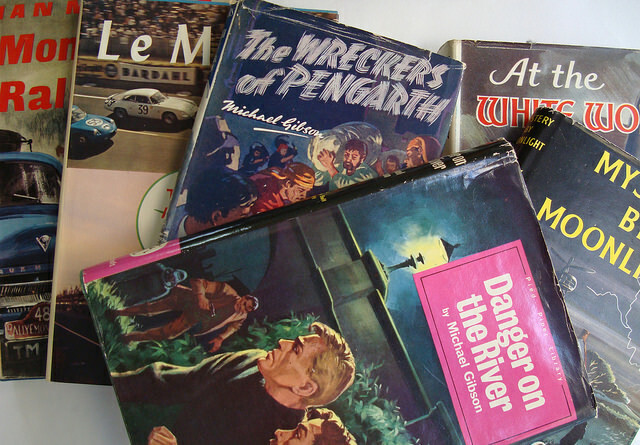 As I remember it, the giddy heights of £75 was eventually reached, The books were very much in the tradition of author Percy F. Westerman, with whom virtually every schoolboy (and a good many schoolgirls) in the pre-war years would have been familiar. They were, collectively, known in the book trade as Rewards, presumably as they made good school prizes. An interesting aspect of their presentation was that they were printed on such thick paper as to give the appearance of being as long as an adult novel instead of about a quarter the length. It must have been early in 1941 when I enlisted in the Home Guard, as the Local Defence Volunteers set up by Winston Churchill in 1940 had become known. I thus donned the uniform of the 1st Battalion of the Gloucester Regiment and wore their forage cap which was unique in having the regimental badge both at the front and the back. This was a privilege (if that is the right word) granted in recognition of victory in a battle in which the regiment had been attacked simultaneously from the front and rear but emerged triumphant. The platoon I joined had its headquarters in Charlton Kings, one of Cheltenham’s outlying districts and our patrol area took in the east of the town and a considerable area of the surrounding Cotswold hills. It was from the hills that many of our recruits came, men whose farms were spread over a wide area. Many an exercise ended at one of these farms with the consumption in the farmyard of more than enough rough cider or perry to at least threaten the platoon’s effectiveness as a fighting force, if not incapacitate it completely. Apart from such enjoyable outings there were of course routine duties, drill, aircraft recognition lectures, firing on the range, manoeuvres in which we joined other units, the use and maintenance of our rifles, Sten guns and grenades, which made up our armament, though we actually had flame throwers at our beck and call should we need them. Guard duty meant sleeping four hours on four hours off in disused railway carriages in Charlton Kings station with an occasional foray to the top of the tower of the church on moonlit nights, from where it was hoped we would spot enemy parachutists if they chose to land in our district. For the illustration of lectures, I was able to prepare large-scale drawings of the working of our equipment, which were useful enough for other units to request copies. There was, however, one rather serious fly in the ointment. I, and a number of others, including two Czech brothers who had sought asylum in this country, had very little faith in our immediate leadership, which was really more suitable for a Boy Scout troop. With the two Czechs, I put in to transfer to a Home Guard ack-ack battery and, when interviewed by a senior officer and asked the reason, were unwise enough to tell him, naming the personality involved. We were told in no uncertain terms that that was not the way things were done in the army, though I had a sneaking suspicion that the officer knew quite well that we had grounds for misgivings. Anyway we stayed put, though in my case this was only until I moved to Dowty Equipment, which was way out on the other side of town from Charlton Kings which, with overtime in the drawing office, made the reaching of evening parades on time often very difficult. Dowty had its own Home Guard platoon and, by luck as far as I was concerned, it was of a rather special kind, its principal duties being bomb disposal. Here was something I could really get my teeth into and this helped in a small way to lessen the feeling which, rightly or wrongly, was ever-present at the back of my mind, that I ought to be overseas somewhere, risking my life daily against the enemy. It should be said straight away that bomb disposal is not all glamour and heroics. Its theme song could well be that of the Seven Dwarfs from Snow White. ‘We dig, dig, dig, we dig, dig, dig, we dig the whole day through!’ It is incredible how far a bomb that does not explode will penetrate solid earth and, to complicate the task of finding out just where it has ended up, it may not go straight down. As often as not, depending I suppose on the composition of the ground, it will veer wildly off course and end up many yards to one side or another from where it actually entered the earth. Bombs have even been known to loop the loop underground before coming to rest. With a sensitive thing like a live bomb, mechanical diggers would be far too risky to use to find it, particularly at the stage of development they had reached at the time of which I am writing. Laborious digging with pick and spade was the only realistic possibility, and even that had to be done carefully. With experience, certain indications as to the direction a bomb had actually taken began to emerge which the full-time experts could interpret by close examination of the point of entry. 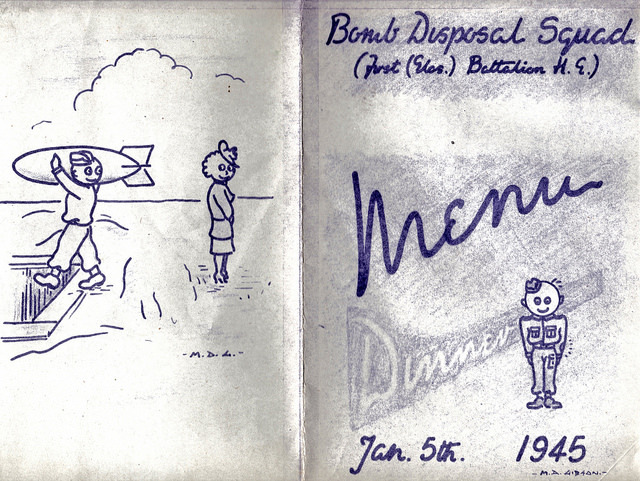 To help those less familiar with the job a bomb disposal museum existed in a large Sussex country house and its grounds, in which all kinds of situations involving unexploded bombs were simulated. To this one day our platoon went. We set off early one morning under the command of our senior (and only) officer. Lt. Ivor Edmunds, riding in the back of the platoon truck (a mode of transport of which I feel I have had more than my fair share) and arrived at our destination. The house itself was used to display every known type and size of German bomb with informative texts alongside. There were, in addition, some of our own bombs, for it was not unknown for our bomb disposal people to have to deal with the occasional one that had gone astray. Information as to how all could be rendered harmless was also available, though this was a job that only a fully trained full-time specialist would actually perform. It was, nevertheless, rather vital for us lesser beings to know what one should and should not do after each type of bomb was discovered. The grounds were laid out rather like a golf course, the land undulating and with groups of trees here and there. There was a set route all visitors were supposed to take over this, during which they were expected to spot the many simulated incidents and interpret them. From the size of a hole, (which might well he hidden behind a tussock of grass), and possibly from its angle, one was expected to be able to say the size and probable type of bomb that had made it and at least make a guess as to where it had landed up. There were almost as many variations on the basic round hole as there were types of bomb, for each had its own characteristics, differing in most cases only marginally. For a change, from the size and shape of simulated craters, one was expected to be able to make an intelligent guess as to the type of bomb that had made them, which might help in identifying the entry hole of another unexploded bomb nearby. One thing easy to miss with ones eyes so constantly peering into every nook and cranny on the ground, was a butterfly bomb. These were quite small anti-personnel bombs designed to fall slowly by means of a kind of parachute come rotor blade, and could easily end up caught in the branches of a tree. It was the easiest thing in the world to miss one, which in real life had a pre-set time switch on the detonator. It was a fascinating and instructive day. In terms of sheer magnitude, the aftermath of the New Year’s Eve 1942 raid on Bath was the most overwhelming operation in which we were involved. We arrived (by truck) on New Year’s Day to find that the whole centre of the city was in ruins, a truly awesome sight, with some fires still burning. The actual work we did was pretty routine (dig, dig, dig), but it was interesting and not a little frustrating to compare the equipment of American bomb disposal units who worked alongside us with our own. Smart white overalls for all the personnel, hydraulic jacks instead of our primitive pulleys and chains, stainless steel spades, custom-made support boards for shoring up the side of holes instead of adapted builders’ boards and everything else bright and shiny and seemingly brand new. And their trucks had seats for all. For incidents of this magnitude we came temporarily under regular army command. Another trip we made into Somerset, this time to a place called Brent Knoll, some miles to the south-west of Bath, was rather unusual. A German aircraft on a firebomb raid had, probably on its way home, jettisoned what was left of its load of phosphorous bombs over the open countryside. On exploding, these bombs would scatter their load of phosphorus which, on contact with the air, would take light and, in a town, cause massive damage from fire rather than the force of their explosion. In the case of the Brent Knoll bombs, they had nearly all fallen in open countryside and burned themselves out without doing much damage. However, at least one of them had fallen in a farmyard that was so deep in mud that it had more or less swallowed the bomb. This had detonated quite a long way down and much of the phosphorus, instead of being flung far and wide and bursting into flames, was still under the almost liquid mud, which effectively kept the air from it. However, if someone walked through the farmyard they might easily disturb things and let in some air, which would be followed by a spurt of flame. It was this happening to the farmer that had caused us to be called in to deal with it. but it was not an easy problem to solve. The first thing was to don thigh-length wellingtons, which we hoped would give enough protection, and from then on it was a question of walking slowly forward through the mud, probing as one went. This was done in a systematic way until, trying not to fall over in the slippery mud when the ground under your feet suddenly spurted flame, we had covered every inch of ground inside the yard. It was then judged to be safe and proved to be so. It was the Dowty bomb disposal platoon which extracted the unexploded bomb I had seen from my bedroom window dropped on a cinema in the high street, though this was before I joined them. The above accounts of our activities may have given the impression that the Home Guard occupied a great deal more of our time than it did. For the most part one attended a parade one evening a week and on some Saturdays and Sundays there were joint manoeuvres with other units. Extra time off was allowed for by Dowty Equipment when something like the Bristol blitz crisis came up, but most weekends were free.